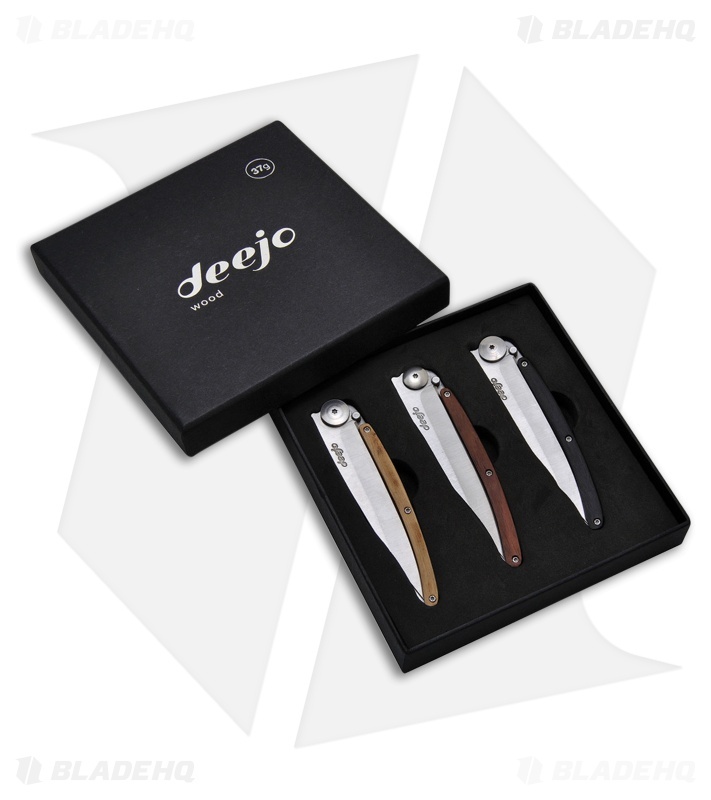 The Deejo 3-Piece wooden set includes 3 mirror finished wooden handle 37 gram knives in Grenadilla, Juniper and Rosewood. Perfect for a collection or when you like to match your knife to your mood or wardrobe. The 3.75" Z40C13 stainless steel hollow ground blade is an excellent everyday carry tool. The long blade easily handles your daily cutting tasks as the stainless steel frame lock securely keeps the blade open. Wooden frame accent makes each knife unique with Grenadilla, Juniper and Rosewood handle accent. Easily carry your Deejo with the tip-down stainless steel pocket clip.